How to interpret empowerment is open to all and can be done in a myriad of ways. 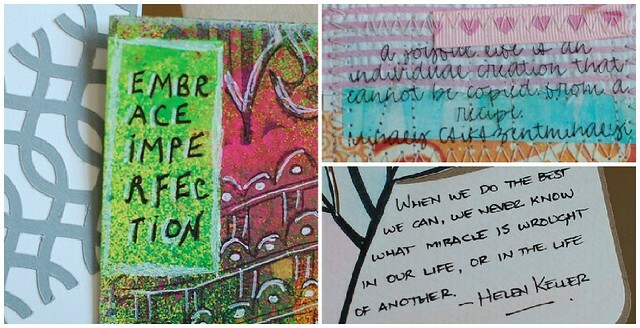 A colour or a drawing that speaks to us could empower as well as spread joy. I choose this as the theme for this year’s postcard swap because I want all of us to feel empowered, in our everyday life and in our creativity. Quite a few of the participants in the swap went with a powerful quote or a few words of encouragement – just like I did on mine. Words are powerful. The right words coming at the right time is better than any gift in the word. This is why I value comments, email and letters so much. I appreciate that someone, sometimes people who don’t know me, will take the time to give me some of their words. To send me appreciation, information and inspiration – and often, maybe too often, those words land in my heart. You get what you give. So give good. I felt very empowered by this, to continue with what I already do and do it good! Take photos, craft, make art, write, invite to participation, find inspiration – and to share all of this with you guys! And as all good circles, when I do this I do feel it comes back to me. The other cards in the pile is from Chris, Patricia, Tammy and Laurie M! After they’ve been out and seen for a while I will punch holes and add them to my homemade postcard binder for safe keeping. Because I love all of these cards! Thank you! Happy third of advent to all of you from me! 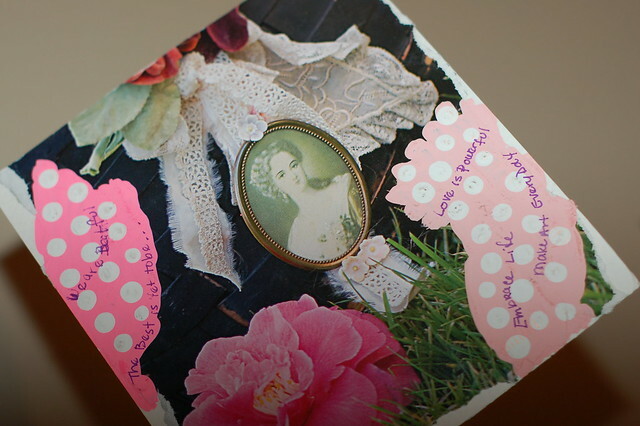 This entry was posted in Mail bliss, Other's Creativity and tagged girl power, postcard swap. Bookmark the permalink. I love this project & really liked that quote – hope it’s ok, put it on pinterest! Thanks Tammy, most happy you pinned the quote so I could find out about that site you used to make an image out of a text (I’m guessing you did that)… How very cool. I will have to try it out soon! Happy Holidays! You have so much to look at on your blog that is colorful and fun, it’s hard to know where to start and hard to stop! You’ve done some really wonderful work and it’s a joy to see. So glad the card made it to you! 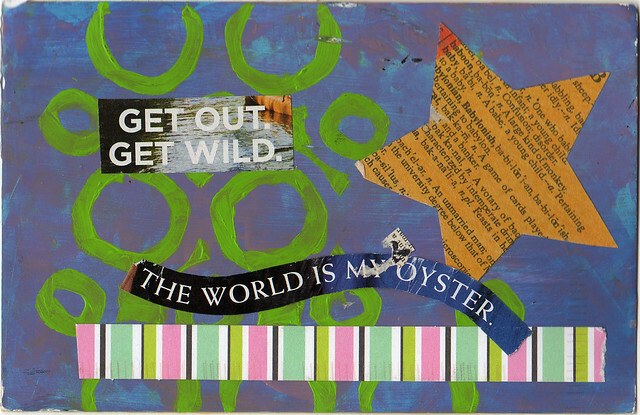 It did say “the world is YOUR oyster” but that is mail art, right? Looks like you got a lot of other wondeful cards too!! Hanna, thank you for sharing cards with all of us who couldn’t get them ALL!!! 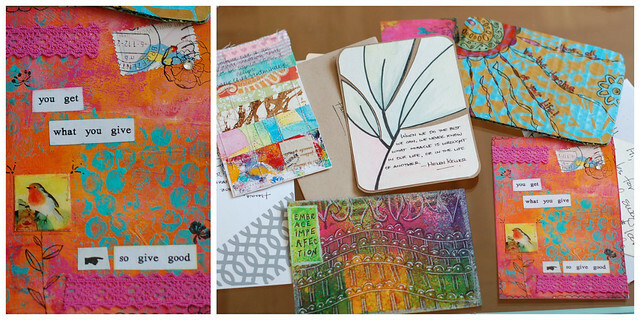 I was so charmed by the cards I received, and empowered to make even more. There are so many talented people out there, and you bring us all together.